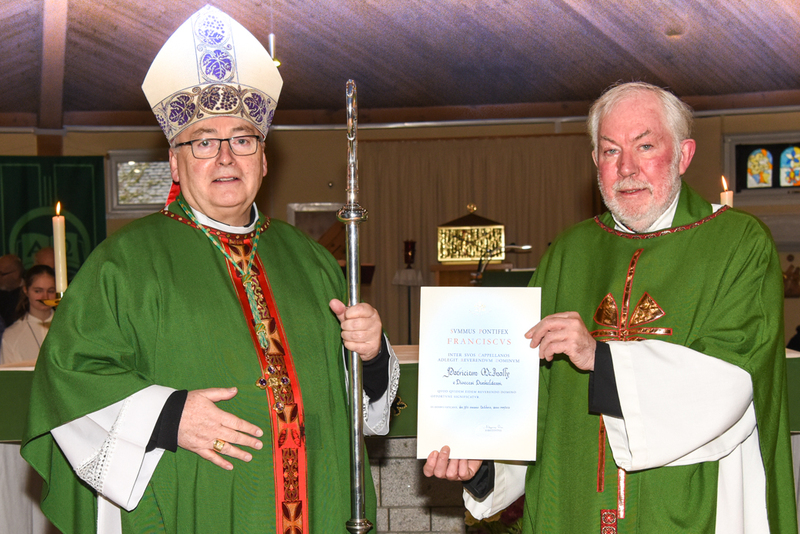 Bishop Steven Robson visited St Columba’s, Cupar, on Sunday 20th January, to honour its parish priest as a newly appointed Monsignor, an honorary chaplain to the Pope. Mgr Pat was most recently appointed as Provost to Dunkeld’s Cathedral Chapter of Canons, following the retiral of Provost Ken McBride. His appointment as a Monsignor comes as recognition by the wider Church of his longs years of service.